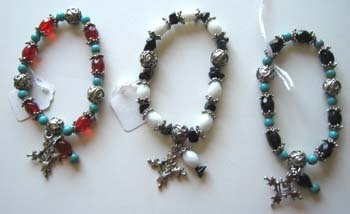 Three different colors of bracelets from India. 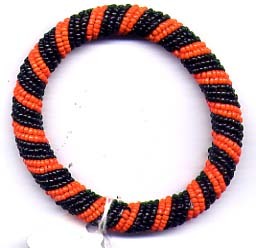 The beads are stung on elastic to easily slip over your hand. Fits most.